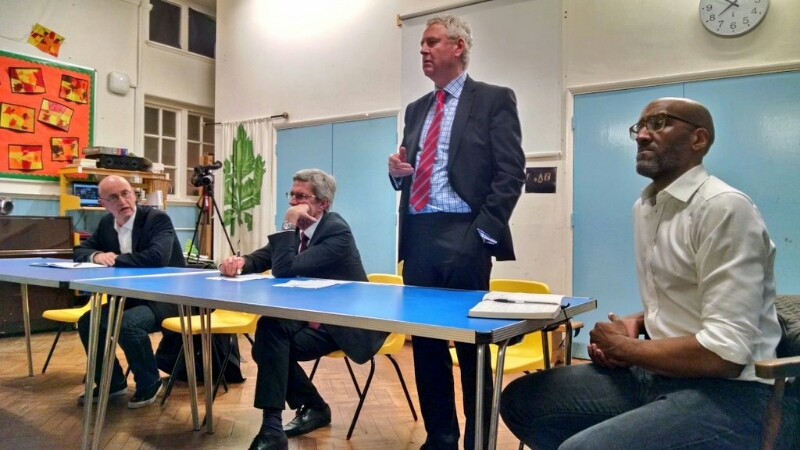 Last night (20th December 2016) Cypren Edmunds, Chair of Highpath Resident & Community Association, hosted a public meeting with Clarion Housing Group, that’s the now merged Circle Housing & Affinity Sutton. Clips of this meeting are on YouTube. Attending were Austin Reid, Director of Transition (ex Circle Chief Operating Officer), Neil McCall CEO (ex Affinity Sutton), Paul Quinn (Circle Housing Merton Priory Homes regen director). Austen Reid was in typical corporate mood, somewhat shocked to be within touching distance of the actual residents, and routinely demonstrated a sound knowledge of platitudes & non committal language, seemingly being evasive of the true situation on the ground, one that residents are only too aware of. Neil McCall seemed a little shocked at the response from some residents regarding repairs & maintenance too, but his general demeanour did indicate a more sincere disposition, less self-serving than the rest. He did mention that he will not be responsible for repairs and maintenance on estates identified as being part of the future regen! We assume that the gentleman below will be responsible for that, but have far less confidence in him. 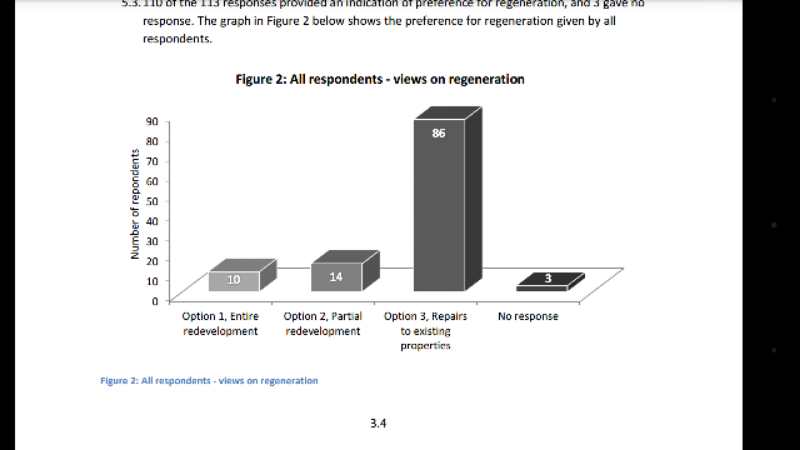 Paul Quinn was in the usual shape shifting mode, happy to provide the positive spin of the regen spiel, but unwilling to elaborate on the actual conduct of his regen team, the lack of proper resident involvement in the regen consultation including the architectural design, and the massive percentage of residents that are against his regen ideas for the future of Ravensbury (this is in reference to Merton Council’s own regen consultation). 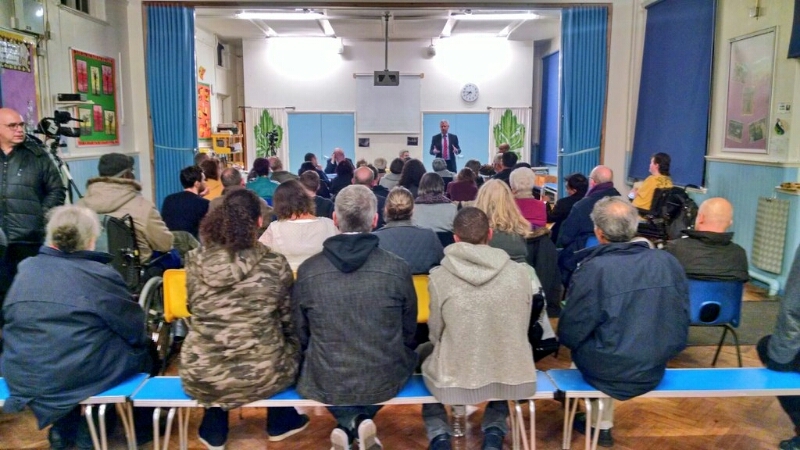 In all, it was a heated meeting that demonstrated that Clarion Housing Group will have a long way to go if they are to properly remedy the damage that Circle Merton had inflicted on the Merton communities relative to the past & present effect of poor repairs and the future effects of planned Merton regeneration. We hope everyone has a great Christmas & New Year break. See you in 2017. The Balfron Tower being pushed from public to private. Good article on the Balfron Tower, London’s monument to social housing which was shifted from public ownership in 2007, and what the future could hold. This week’s freeholders focus meeting saw Paul Quinn, Director of Regeneration for Circle Housing, admit to wanting an extra 200 properties on the Ravensbury estate and that they would ALL be sold to private investors!